HTC has used the CES 2018 as a platform to announce its new Vive Pro and Vive Wireless Adaptor. 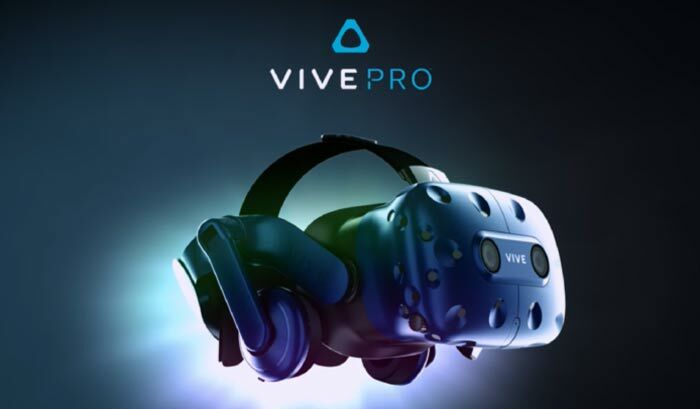 In brief the Vive Pro is a new HMD aimed at a more premium VR enthusiast and enterprise market. Its dual-OLED displays have been upgraded to 2880 x 1600, that’s nearly 80 per cent better than the existing Vive HMD. The new Vive Wireless Adaptor can be paired with either the Vive or Vive Pro for greater untethered immersion. This adaptor utilises Intel WiGig technology. As mentioned in the intro, the new premium HMD offers significantly finer detail than the standard Vive. In practice that means sharper more legible texts and image details in your VR world. Improvements are present in sound performance too: audio enhancements are delivered by new integrated, high-performance headphones, with a built-in amplifier to offer a heightened sense of presence and an overall richer sound. In a couple of further tweaks, dual microphones with active noise cancellation and dual front-facing cameras are implemented. If you wear this HMD for any length of time you might also appreciate improved ergonomics. In particular there is said to be a better balance for wearers of this HMD and the headstrap sizing dial should deliver a more comfortable snug fit. Pricing and availability is yet to be disclosed. This adaptor is said to facilitate “truly wireless VR headset integration for both Vive and Vive Pro”. Intel’s WiGig tech uses the interference-free 60GHz band and ensures minimal latency for the VR system. HTC is sure that the wireless adaptor will be more than acceptable to discerning VR users at home and in business. 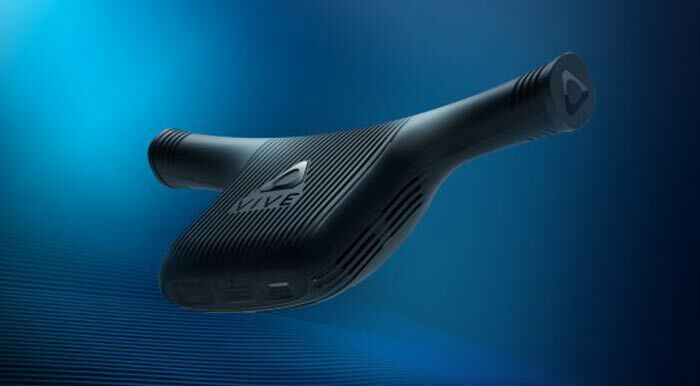 Expect the Vive Wireless Adaptor to become available worldwide from Q3. Vive has delivered the “largest upgrade to the Viveport customer experience since launch”. As a reminder Viveport is the VR memthod of discovering VR content to enjoy on your HMD. The new ‘storefront’ facilitates greater interaction and immersive previews of content. There are more than 1000 titles available via Viveport and more than 325 via subscription. On the topic of apps the Vive native VR 180 and 360-degree video player has been enhanced with new features and UI upgrades plus Vimeo content. Cool, can't wait to hear what reviewers have to say. I'm quite interested in this but the marketing is utterly baffling. It's a "Pro' version of an existing product yet it doesn't (at least initially) come with any of the original equipment. You need to already own the tracking beacons, and the wireless adapter doesn't even arrive until Q3 2018. A full bundle of everything would've made more sense from a marketing POV, surely. I really want it to have rgb subpixels too and then that should mean no screen door effect. If it says Pro, you know its going to be expensive. Interested to see how it is.